Features:This product is used to restore and renew the lacquer surface with heavy cut (paint base not appear), heavy oxidation, deep corrosion. The contained abrasive, filler and reducer can restore the cut lacquer surface. It is especially suitable for renewing lacquer surface. Direction: Shake up before use. 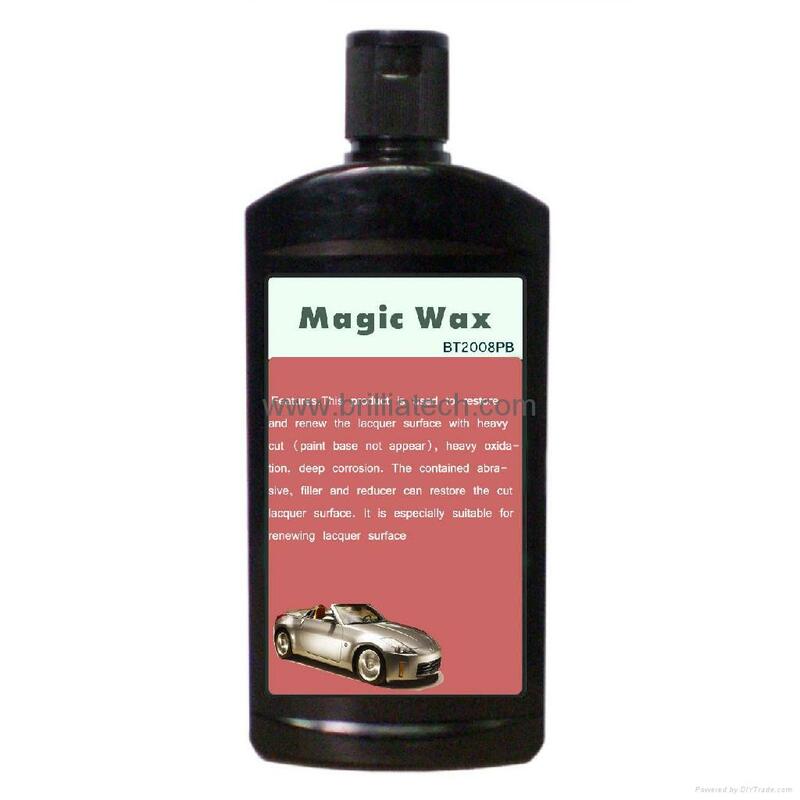 Pour the liquid wax on the body of the car or on the abrasive disc, polish the lacquer surface when the drug is wet. Polish 0.5 square meter every time. Apply strength to the machine with your arm to generate heat needed. For the heavy cut, you can do several more times carefully. The recommended rotate speed is 1000-1500 r/m. Notes: For best results, apply wax out of direct sunlight. Do not apply to hot body panels. Storage: under normal temperature, may freezes under low temperature, quality and stability property not changed after unfreezing.